AEDES DE VENUSTAS honors the past, present and future of perfumery with its first signature scent. Housed in aubergine glass the bottle disrupts classic rules of design with its round and square shape, hinting at the unique construction of the fragrance housed within its body. The circumference of the cap is uniquely positioned and adorned with the AEDES insignia. A baroque yet futuristic ambience emanates from the skin as soon as the fragrance is applied, embodying the magic that is the AEDES DE VENUSTAS boutique.The mind questions, but the heart knows; a new experience anoints the wearer as it weaves a sensuous spell like no other before it. It is the first touch of AEDES DE VENUSTAS, a touch that will never be forgotten. 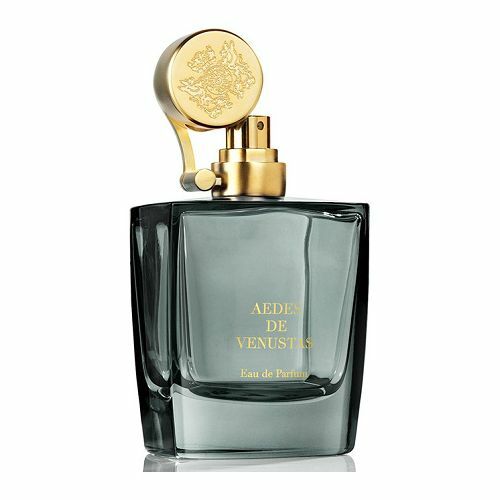 The composition of AEDES DE VENUSTAS Signature Eau de Parfum is a world onto itself. There is no trace of the traditional fragrance pyramid. The construction is round, luxurious, voluptuous and addictive. 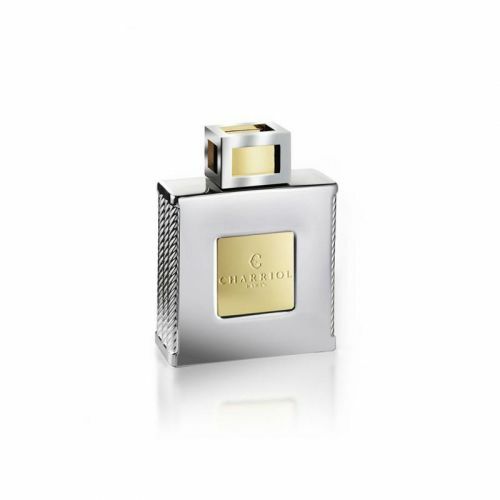 The scents chypre character is pierced at its center with the ephemeral green freshness of rhubarb accord; the axis around which the fragrance revolves, like the wearer emanating its memorable sillage. Embodied and embodying; AEDES DE VENUSTAS Signature Eau de Parfum is the past, present and future of perfumery in simultaneous revolution. Perfumer Bertrand Duchaufour describes the perfume as a game of supports in an unexpected, even improbably olfactory architecture because the green effect increases while the heavy dark resinous incense and chypre accord is largely deceasing and getting more abstract. On an interesting note many of the ingredients in AEDES DE VENUSTAS Signature Eau de Parfum have been sourced by Bertrand Duchaufour. The ominpresent Vetiver is from Madagascar where Mr Duchaufour himself traveled to meet the farmers and made sure it complied to fair trade practices. Spray Aedes De Venustas Signature Eau de Parfum onto the pulse points. Was introduced to this via a friend recently and have finally been able to find on this site. In a different league to others found on the High St, very unique and always gets me attention (in a positive manner!!). Special, stylish, sophisticated beyond belief.